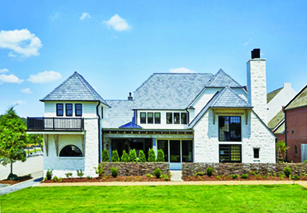 Stephen Elliott Homes brings over 35 years of homebuilding experience to the Atlanta market. Offering flexible floor plans that suit a variety of family needs combined with some of the most sought-after locations, a Stephen Elliott home is the ideal choice for your next home. 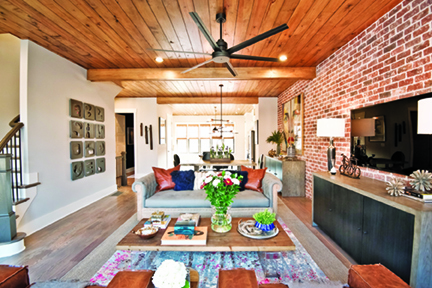 Features you’ll find include brick, stone and shake exteriors, two-story foyers, arched entryways, chef-styled kitchens and expansive owner’s suites. Come personalize your dream home today! 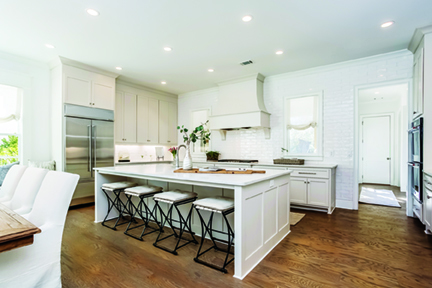 Boasting nearly a century of combined experience in new home construction and an award-winning team of industry veterans at the helm, Paran Homes builds homes of uncompromised quality in many of Atlanta’s most sought-after locations while delivering a stellar home buying experience. 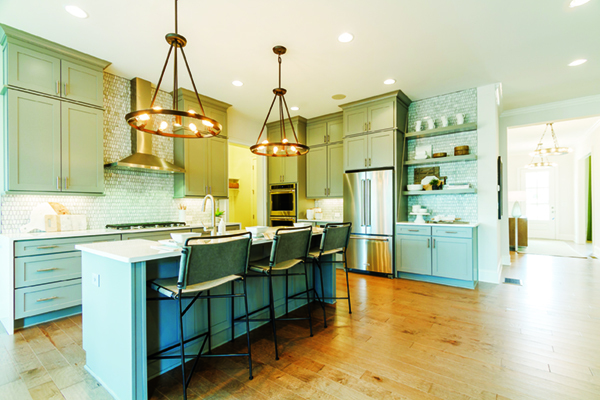 Buyers can select from an array of move-in ready homes or personalize their home with the latest options from our Design Studio. Schedule an appointment and tour one of our models today! 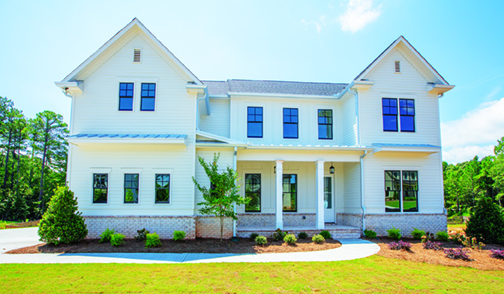 Brock Built Homes is a premier Atlanta homebuilder that is dedicated to enriching the lives of homeowners. 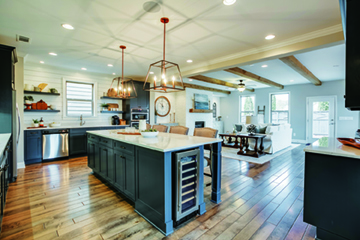 Brock Built provides quality craftsmanship and builds not just homes, but neighborhoods and communities with a focus on heavily landscaped tree-lined streets, large front porches and classic craftsman architecture. 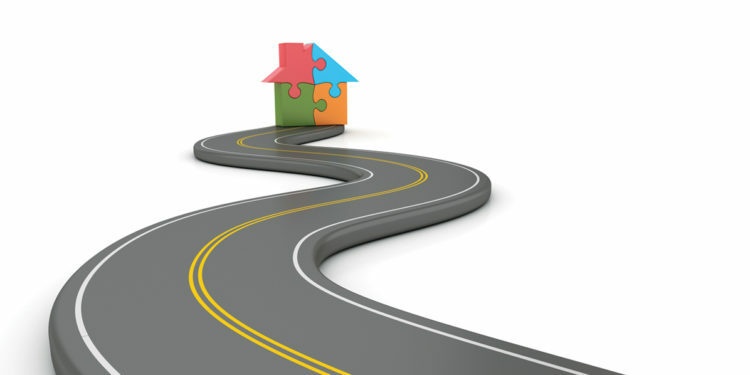 Brock Built provides innovative communities, neighborhoods and homes from Intown to several suburban areas. 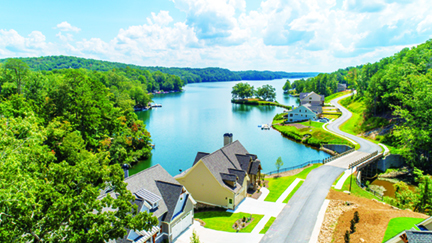 Entering the gates of the River Club, you’ll find a community of serene natural beauty, exquisitely crafted custom homes on rolling topography and an exceptional living opportunity. 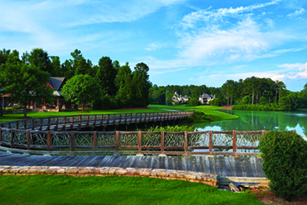 Built around one of Greg Norman’s celebrated golf courses and nestled into the woodlands along the Chattahoochee River, the River Club is a sanctuary from the outside world. 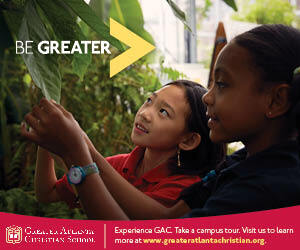 This is, quite simply, the finest lifestyle experience available anywhere in Atlanta. Lennar offers brand new homes in thoughtfully designed communities that meet the desires of customers across the homebuilding spectrum. In Atlanta, communities are built in eight counties, including Cherokee, Cobb, DeKalb, Forsyth, Fulton, Gwinnett, Henry and Hall. Homes are built in some of the most beautiful areas in Georgia, with views of rolling hills and century-old trees. The communities feature in-demand amenities, such as swimming pools, recreation centers, nearby golf courses, walking trails, playgrounds, parks and more. A heritage of craftsmanship, a commitment to service and a vision for community are the fundamentals that make SR Homes a builder focused on you. 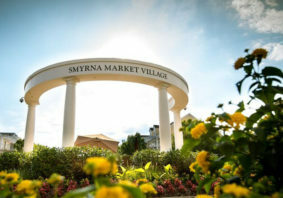 With more than four decades of experience, SR Homes offers a variety of communities in the most sought-after locations. Homes showcase luxury appointments, distinctive exteriors and innovative interior spaces that reflect the way families and individuals live today. 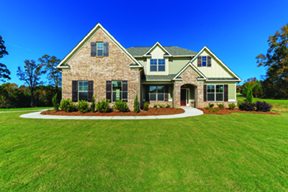 Proud to be a Certified Professional Home Builder, SR Homes is building homes designed for every stage of life in Clarke, DeKalb, Forsyth, Fulton, Gwinnett, Hall and Oconee counties. This charming new community of ranch homes is situated on the beautiful and historic Brown’s Farm property, which is just a short walk to Carrollton’s dining and shopping destinations and minutes from Tanner Medical and downtown Carrollton. Enjoy maintained lawns, walkability and exceptional amenities, including a clubhouse, bocce ball, pickleball and easy access to the Carrollton Greenbelt. Proud to be the leading luxury homebuilder in Atlanta, The Providence Group offers 20+ communities in Atlanta’s most sought-after locations. The Providence Group features a home design and community to fit every lifestyle, with designs offering a range of options, including third-level retreats, finished terrace levels, main level owner’s suites, gourmet kitchens and more. 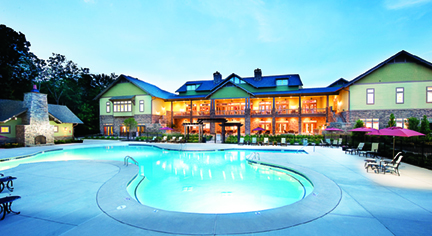 Community amenity packages typically include gated entrances, pools, clubhouses and lawn care. 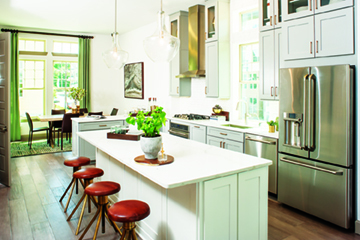 The award-winning design center allows homebuyers to personalize their new home. At EA Homes, we work to create comfortable luxury in everything we do. It’s about a lifestyle that appreciates a well-built, purposeful home filled with thoughtful, stylish design. It’s about a design process that erases all your worries. And it’s about homes that invite you to truly live in them. Let us help you find your own comfortable luxury in one of our more than 15 single-family and townhome communities located throughout Atlanta. Today, relocating families can choose from two extraordinary communities by Artisan Built Communities. NatureWalk at Seven Hills and The Georgian are ideally located near top-rated schools, shopping, dining and healthcare. Both communities feature artistically designed homes with open floor plans, gourmet kitchens, outdoor living areas and world-class amenities. 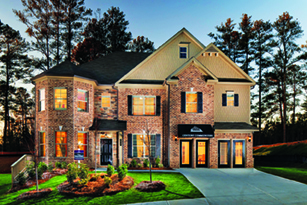 Skyland Brookhaven is a new townhome community designed with your lifestyle in mind. We are proud to offer thoughtful floor plans, beautiful aesthetics and space that works harder. Using quality craftsmanship from custom builders, these homes are also technologically enabled for state-of-the-art living spaces. Luxurious amenities include a sophisticated clubhouse, a gorgeous saltwater pool and landscaped pocket parks. Located in sought-after Brookhaven, this community is convenient to upscale shopping at Lenox Square, Perimeter Mall and Northlake Mall. Century Communities in Atlanta offers a wide variety of exceptional plan layouts, elevations and locations throughout metro Atlanta to choose from, starting from the low $200s. 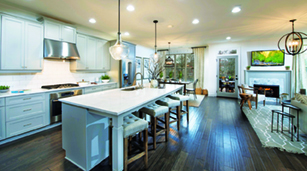 Choose between a move-in ready home or personalize a to-be-built home with an exciting array of available options at Studio 100, Century Communities’ design center. Schedule an appointment for a community and model home tour on our website today! Patrick Malloy Communities was founded in 1994 by Patrick Malloy in an era when a home was part of a neighborhood, and a neighborhood was part of a life. That core focus remains strong today, with the family’s third generation at the helm. Over the past 20-plus years, they have built more than 3,000 exceptional homes in metro Atlanta and developed more than 7,000 lots. With each new project comes a sense of pride and craftsmanship and commitment to “Building Character” into each new home and community. Live on a different level. 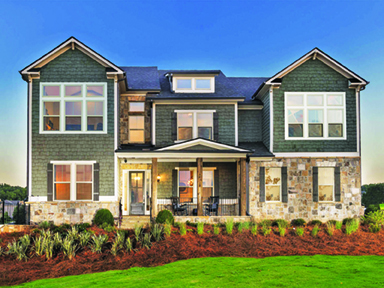 David Weekley Homes has been delighting customers in Atlanta for more than 15 years with four decades of building experience across the country. 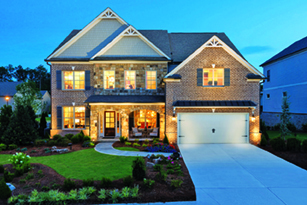 Weekley is one of the most sought-after builders for homebuyers seeking a quality home and unmatched customer service. 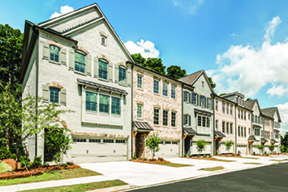 David Weekley Homes is currently building in communities throughout the Atlanta area, including beautiful homes in Buckhead, Kirkwood, Smyrna, Suwanee, Woodstock, Mableton and Decatur. 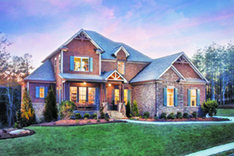 Chastain East offers 32 custom residences nestled beside Chastain Park. Developed by Southeast Capital Companies and Home South Communities and located in a prominent school district, the community features four unique floor plan options with gracious living, entertaining areas and cozy covered porches, as well as elevators, master-on-main layouts and timeless finish options. Ideally located. Personally curated. Expertly crafted. Enjoy life at Chastain East. 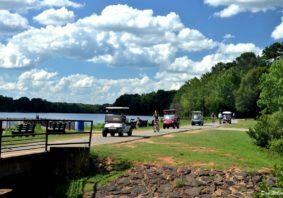 Just south of Atlanta, across from Pinewood Atlanta Studios and near Piedmont Fayette Hospital, sits Pinewood Forest, a walkable community designed to encourage creativity and wellbeing. Steps from your front door will be 15 food concepts, boutique shops, a movie theater, performing arts center, wellness and fitness center, The Forest School, parks, a resort-style pool, 15 miles of trails and 54 acres of forest. Come experience a better way to live. It’s time to expect more from your homebuilder. We’re setting the new standard for energy-efficient homes to help you live with more savings, better health, real comfort and peace of mind. Whether this is your first home or your sixth, it’s important to know you have a partner in your corner — someone with the expertise to know what it takes to build to the standard you need and expect. 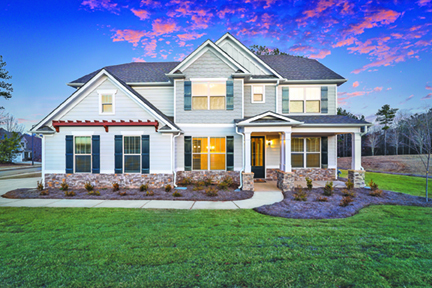 Locally owned Southern Heritage Homes brings more than 31 years of combined experience, delivering exceptional homes that reflect the best of southern-style living. Each home built exceeds all industry standards and is backed by full warranties, bringing added peace of mind. 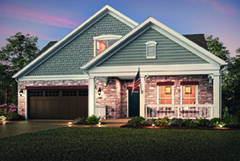 With Southern Heritage’s attention to detail, coupled with its unique architectural designs, your home will be a reflection of your lifestyle and enjoyed for decades to come. 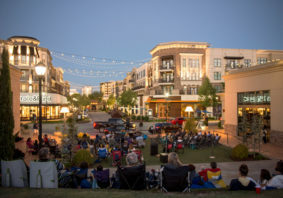 One of Where To Retire Magazine’s Top 50 Master-Planned Communities, this unique active adult community located in Canton is where neighbors become lifelong friends while surrounded by the opportunity to create indelible memories. Imagine days filled with engaging activities, providing the lifestyle of a long-awaited vacation. 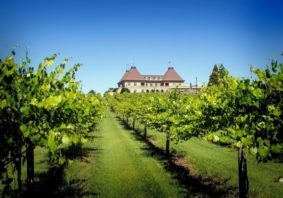 Spend time on the golf course or tennis courts, in the culinary-teaching kitchen honing gourmet skills or on the clubhouse balcony watching the sunset over the North Georgia Mountains. Everything you came here for — and more. Welcome to Lake Arrowhead, a private mountain, lake and golf community just outside of Canton. A captivating 540-acre lake with miles of shoreline sets the tone for homeowners’ new beginnings. 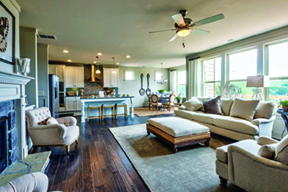 Now selling new ranch-style homes and master-on-main townhomes. 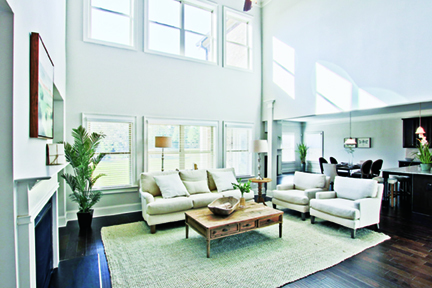 Johnson Development is at the helm with its Atlanta-based homebuilder Majestic Lifestyle Builders. Select premier homesites are available for sale. Take advantage of Cherokee County’s low tax basis.